Coast Guard Capt. 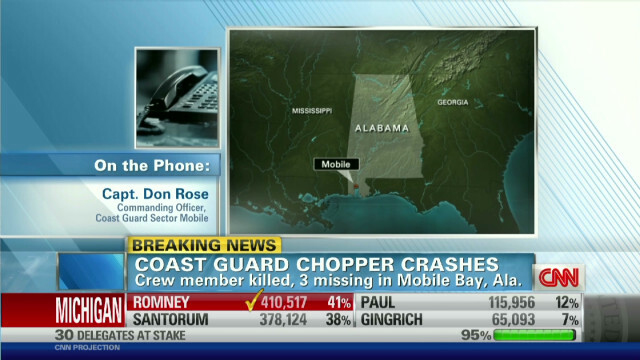 Don Rose speaks with CNN’s Zoraida Sambolin on the latest in a search for 3 crew members missing after a chopper crash in Alabama. Early Start with Ashleigh Banfield & Zoraida Sambolin airs week mornings from 5-7am ET on CNN.